Share the post "Queen’s-Tears Or Friendship Plant, Billbergia Nutans"
Billbergia nutans known also as Queen’s-Tears and The Friendship Plant, is an epiphytic bromeliad native to Brazil, Paraguay, Uruguay, and Argentina. This plant is probably one of the most common bromeliads grown. It is a durable house plant which can often withstand several periods of neglect and very easy to grow. Being epiphytic, bromeliads can grow almost anywhere – on the side of a tree or planted in the ground. Billbergia nutans plants have few roots, just enough to anchor them, and they get their moisture and nutrients from the air like the name suggests. They like humidity and, when it rains, their cups fill with water. Queen’s-Tears plant has a clump of narrow, deep-green leaves up to 50cm long. In late winter and spring, it bears striking pink-bracted flower stems with spikes of slim, pendant blooms colored pink, green and blue, with curled-back petals, providing dramatic color contrasts. These multi-colored blooms make them a stunning addition to any home garden. 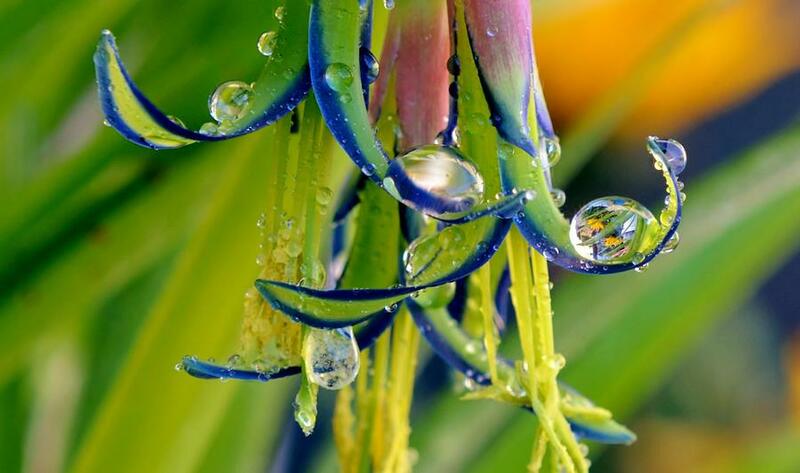 Queen’s-Tears is often used as an ornamental plant. Most plants will flower without assistance in late March or early April. Blooms last for six to eight weeks. 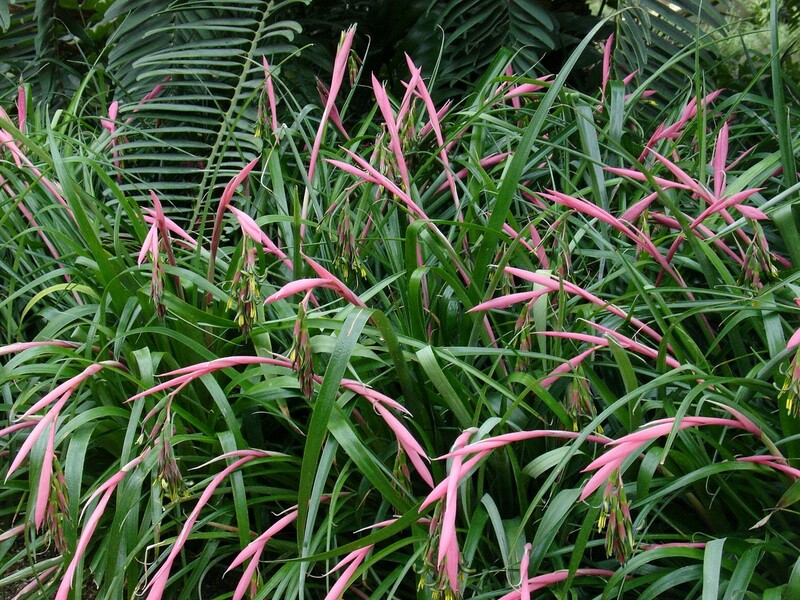 But if your Billbergia nutans is a bit stubborn, you can force her to bloom. Just add one teaspoon of Epsom salts (Magnesium sulfate) to her water for one month, and the blooms should appear. The other way is probably better known, especially with other plants – place an apple next to the plant and cover both of them with a plastic bag. Leave them together for a week or more – the bromeliad should bloom within the next 1–2 months. Like most bromeliads, it will survive in dry, shaded garden locations. During spring and summer you should fertilize your plants with a diluted, balanced, liquid fertilizer. Since bromeliads are epiphytes, foliar feeding may be preferable. Give them a spray of water every so often in summer if it is dry. Divide the clumps every few years. This bromeliad is reasonably frost hardy. Queen’s-Tears plant is non-toxic to cats and dogs. Temperature: 16-27ºC (60-80ºF), can bear it down to 40ºF (4ºC) but it will affect its bloom. Soil: orchid or bromeliad soil mixture. You can make your own soil with a one part gardening soil to two parts perlite or tree bark mixture. Light: shade in summer, indirect light during other seasons. Watering: during summer water the leaves, flowers, and roots daily, but make sure they are not soggy. During other seasons water the plant every few days. Fertilizer: during summer add a balanced fertilizer once every other week. During other other seasons add a fertilizer once a month. Disclaimer: Please note, all information on this website is for educational purposes only. 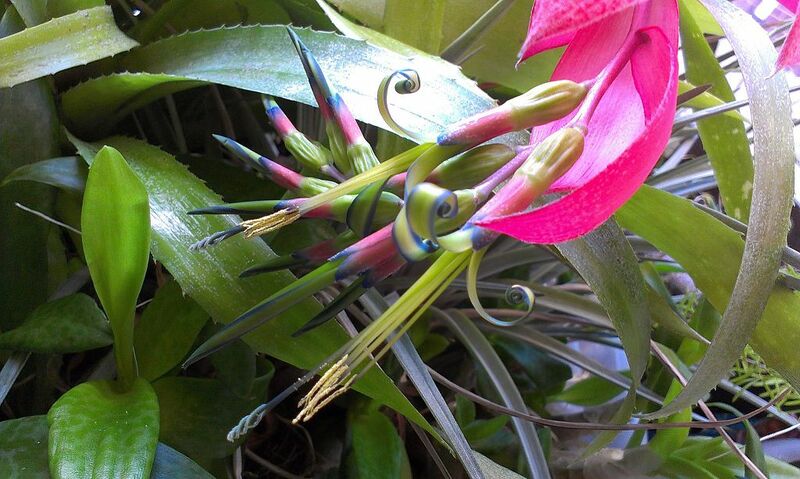 Do you grow Queen’s-Tears Or Friendship Plant (Billbergia Nutans) in your garden? What is your experience with this plant? Please share in the comments below! Do you sell Queen’s-Tears Or Friendship Plant (Billbergia Nutans) seeds or have plants for sale? You can place your advertisement here. Contact us now! I just found this blooming in my garden yesterday!! So excited to have it..
Wow! So cool! Does it look the same as on these photos or different? The leaves are a bit different…mine aren’t as green, which may be due to the poor health I acquired it in. But the flowers are identical. The little curling tips of mine seem to be very delicate. 🙂 It’s really pretty!!! Nice! So, you should be somewhere with the warm weather now! 🙂 Australia? My husband purchased a few pots of Queen’s Tears for me last year from a local grower. I divided them when the pots got crowded and now have 12 pots in full bloom. I can divide again by four (as soon as the blooms are gone) and I’ll have 48! I pretty much totally ignore them and they love it – My kind of plant! I’m in Central Florida……………..